This is a common look on a relaxed summer day for me. 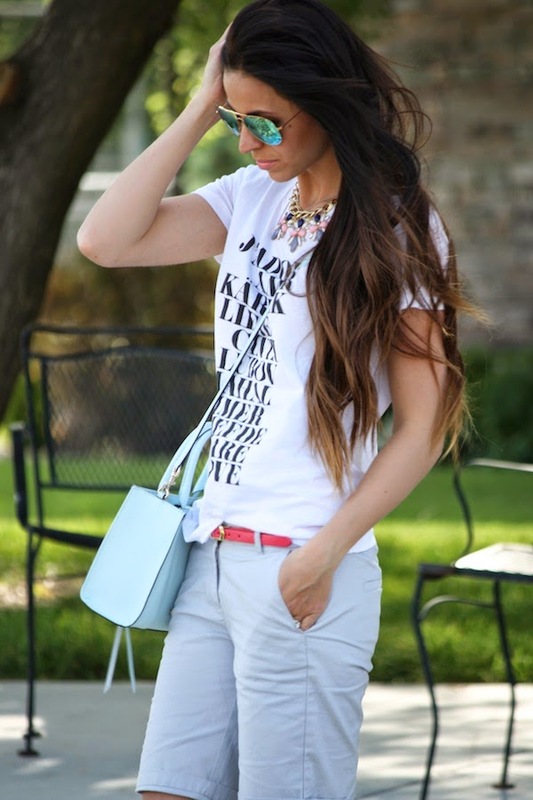 Comfy with a pop of color here and there! These cute worded tees from J.Crew have been some of my favorite tees and are so easy to dress up or just wear alone for a relaxed look. Love this look! That RM bag is so pretty!